According to the latest Post Office Worldwide Holiday Costs Barometer, Sunny Beach, Bulgaria has taken the top spot for the first time with a clear margin of victory over its two closest rivals, Japan and the Algarve. Its reputation for value made 2017 a good year for Bulgaria and the Bulgarian lev’s appearance in the Post Office’s Fastest Growing Currencies chart was evidence of increased consumer demand. At £37.92 for eight tourist items including a meal for two, drinks, suncream and insect repellent, Sunny Beach can expect to attract more bargain-hunters in the year ahead. Another Balkan Holidays destination to feature in the report was Porec in Croatia’s Istrian Peninsula. At £61.54 for the same eight items, a drop of 11% has taken the Croatian resort into the worldwide barometer top 10 for the first time, in ninth place. Croatia is one of 10 Post Office 2018 hotlist tips after Croatian kuna sales surged by 38 per cent last year and doubled over the past five years. 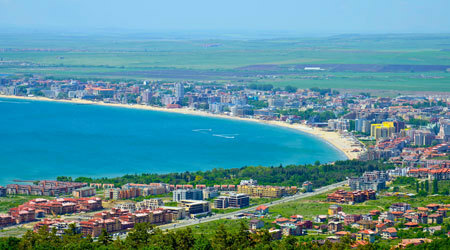 The news that Sunny Beach has won this award confirms that Bulgaria offers the best value for money holidays not just in Europe but worldwide. Combine this with the great service and choice our holidays to this wonderful country provide, its not hard to see why our customers choose to enjoy their beach holidays with us year after year. You can view the full report here or view the comparison tables here.